Expatriate in KL: Boracay still the best beach for us! Boracay still the best beach for us! 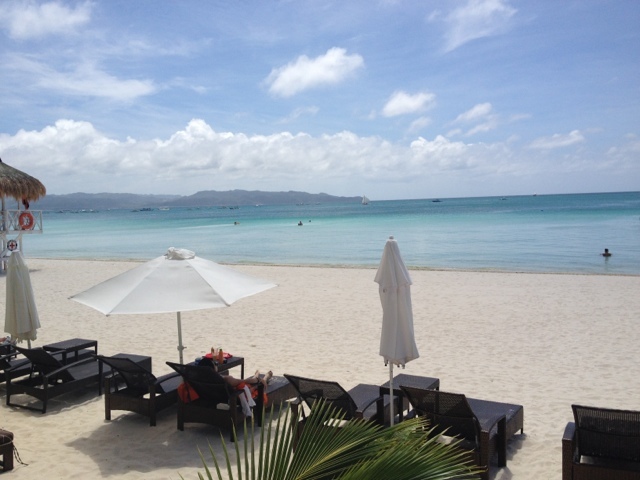 Tweet Despite numerous beach travels around the world, hubby agrees with me that Boracay is still top of the list. Okay, we haven't been to Maldivea yet (though it's on top of my next go-to place)... But if you were to compare price, Boracay is definitely more affordable for the average Joe (or Juan, as we would say in the Philippines). This March 2012, I went back to Boracay (Caticlan) for a 4-days, 4-nights stay. At this point I would like to highlight that we feel it wasn't enough. I swear the next booking I do to Boracay will at least be 4 nights! 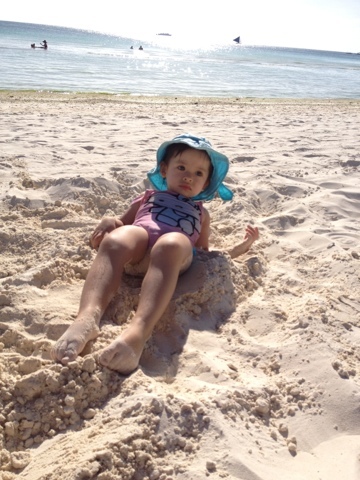 My little toddler (2yrs old) loved playing on the powdery white sand. Even at 12noon when the sun is hot, the sand is cool to the feet. The water was so clear you can see your own pedicure! The sand is so fine, you can walk and run barefoot without having to be cautious about stepping on sharp rocks. Recently I discovered a new boutique hotel which I adored after our stay. We used to stay at Discovery Shores but I found out their price is ridiculously high now that I opted to try something else. That is the other beauty of Boracay, there are tons (and I mean tons) of accommodation that fit every kind of traveller. We stayed at the boutique resort called Astoria at Station 1. The rooms were clean, spacious and well designed. Choose a "luxury room" which is moderately priced. The location is pretty good, giving you quick access to D'Mall ( where u can find almost everything you need: gourmet food, wine, cheese, bikinis, Starbucks, Havaianas shop, souvenirs and ATM). It is also easy access to the beautiful white sand stretch of station 1. We recently exams adventurous. I think this is probably my 15th trip to Boracay (if not more) and I have never been to the famous market area called Talipapa in station 3. We took our hired tricycle (php60- per way) and he brought us there. It was lobster heaven! We shopped at the market for our own lobster, fish, crab and squid. Then there are many small restaurants beside the market which offer cooking services. This is a very humble place so don't expect 5-star ambience. We truly enjoyed our scrumptious meal (we used our hands to ravage the seafood spread!) we spent about php 3,500 for everything inclusive of cooking, rice, seafood and drinks. That was for 5 adults and one toddler. I literally had an overdose of lobster. Speaking of overdose, I also went overboard with mango shakes. 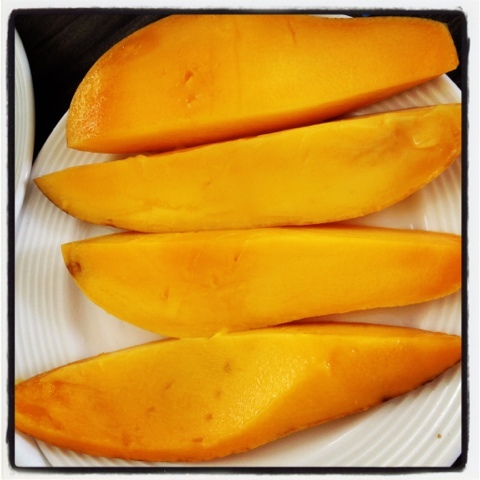 The Philippines is famous for its mango shakes and no trip is complete without it!!! It is a m-u-s-t !!! 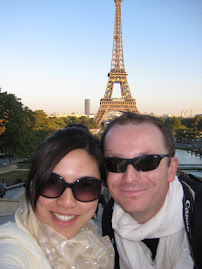 We took the Cebu Pacific flight from kL to Manila and then stayed few nights in Manila. Then we took a domestic flight Cebu pacific from Manila to Caticlan. I noticed some China people who took straight flights from China then connecting to Caticlan. Folks from KL can do the same thing and fly straight KL-Manila-Caticlan without having to change airports nor wasting time in Manila. 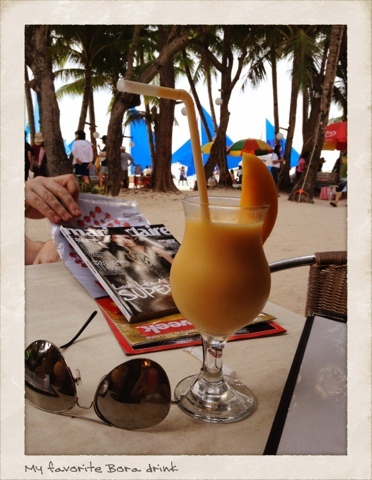 Sigh, I am already planning for our next Boracay trip. It really is paradise and so far nothing beats the sea, sand and sun experience! I have lived on Boracay apartments for 15 years and loved the place so much i built cohiba. 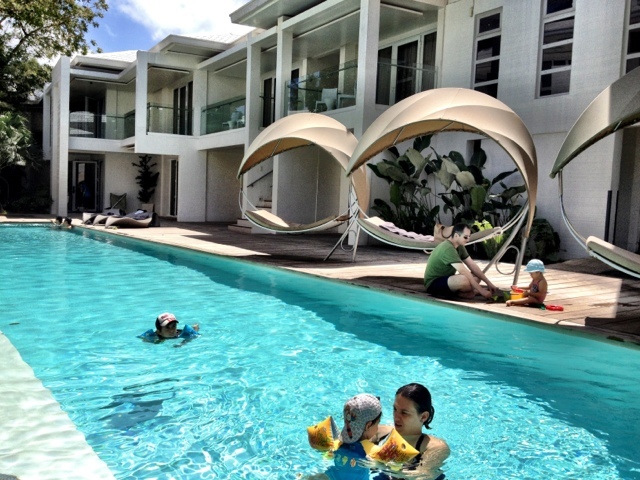 These are the Biggest and Best value for money apartments on the island period ! Every apartment has stunning sea views and 30m2 to 40m2 balconies with which to enjoy it. We are overlooking the windsurfing / kitesurfing bay where the season goes from November to april. Its either a great sport to participate, or great to just sit on your huge terrace and watch. sist!i need ur help..my friends and me planing going to boracay ends of this coming jun...but we dont know how to go there.can u please help to explain how to get there...either we take fly from KL or BKI to clark ?From clark to way and what flight we use go to boracay?...and what the best hotel over there not too expensive...pls email me at chealsrisha@gmail.com..
tq so much if u can help me sist! hi, best is if you book your KL-Manila flight via Cebu Pacific. Don't go to Clark as there is nothing there! Or, if you go to Clark, you will need to book a flight via Cebu Pacific -- Clark to Caticlan. Or maybe check if Air Asia flies to Caticlan already? Cebu Pacific site : http://www.cebupacificair.com/ they usually have promotions as well. For hotels, there are zillions of hotels in Boracay. Depends really on your budget. In my recent experience, i saw a low-budget yet nice decent place called ZUZUNI and if you have more budget you can book online for Astoria Boracay. Other places like TIDES is also nice. You can check their rates online. In fact, I booked ASTORIA Boaracay through ASIAROOMS.COM when I was here in KL. Didn't even go through a local ageny anymore from Manila. thanks so much for ur reply...its help me a lots...we will go on this december.LAst jun we cancel our trip because one of my friends have operation ..so we need to wait for her recover ..our flt already booked and we take flt from kl to manila and nite stop there .our flt going to boracay in the nxt day at afternoon time..hopefully that time our flt no dela or cxl..by the way our hotel not yet booked coz i not sure yet abt the place.I need to asking my friends they want to stay at chalet or hotel might be near the beach..i will tell abt the zuzuni or astoria..anyway sist thanks so much for ur reply..take care and have a bless!..